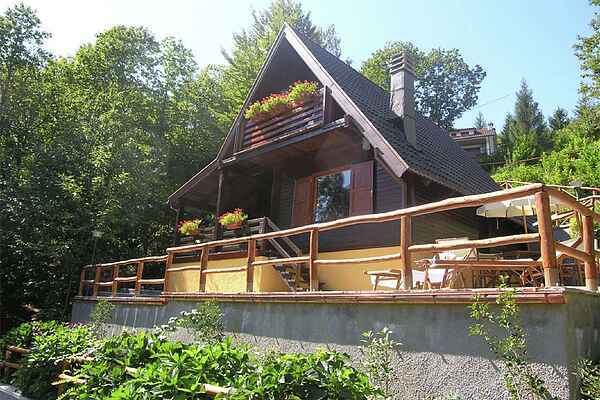 The Chalet is located at 900 meters, in the heart of "Pistoia Apennines, in the Valley of Sestaione, Cutigliano between Abetone, between Chestnut and Beech woods.typical mountain hut made entirely of wood floor ... , furniture, kitchen .. walls ... Ideal for those who spend a relaxing holiday in nature and peace! You will be completely immersed in nature, an oasis of peace and tranquility. Surrounded by breathtaking views, relax on the terrace, read a good book or have a nice walk. During a holiday in Tuscany can not miss walks in pristine mountain trails nor visits to major cities such as Pisa and Florence are within a radius of 78 km, or 36 km Pistoia just declared Capital of Culture.